You are currently browsing the category archive for the ‘Anatomy of an Election’ category. Amongst the oddest pronouncements on the General Election was the claim of the opposition leader that parliament did not have a mandate from the people. Interestingly enough, this assertion, that ‘Though the government has a majority they do not have a mandate from the people’ was reported in just one Sunday paper, while the papers that normally highlight opposition rhetoric kept silent about this particular gaffe. The paper that is generally most sympathetic to Mr Wickremesinghe was more concerned with highlighting his defence of himself. 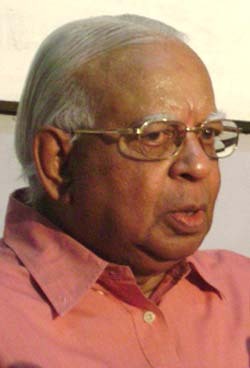 He denied that the defeat of the UNP indicated loss of faith in him as a leader, but claimed it ‘indicated a loss of faith among UNP supporters in the present electoral system’. How he squared this assertion with the most graphic display of contempt for him indicated by Moneragala UNP voters was not apparent. It will be tragic however for the country if, in order to shore up his leadership within the party, he engages in confrontation based on his belief that the government does not have ‘a mandate to rule’. Since he is an intelligent man, and a qualified lawyer, and understands English very well, this little performance must be seen as subterfuge. After all he knows perfectly well that, under the Constitution of which he was such a fervent proponent when it kept him in power for seventeen long years (without an election for half that period), executive authority belongs with the President. 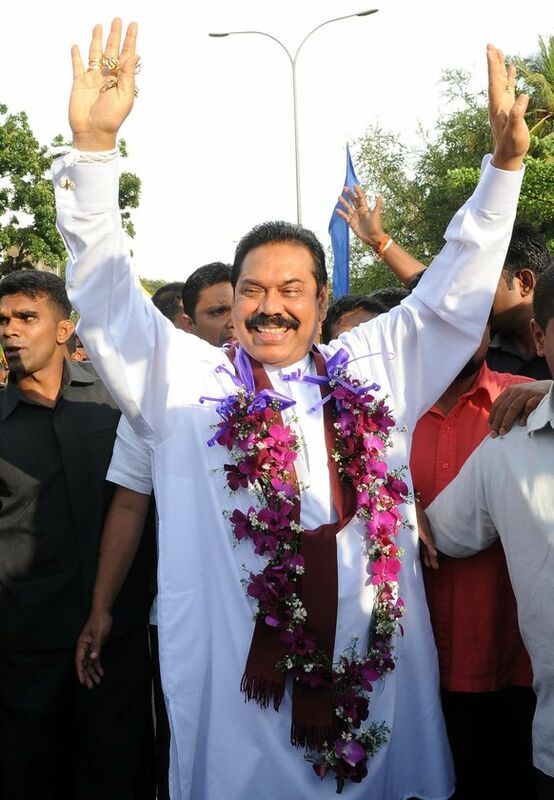 Presumably his current argument, based on the size of the poll, assures him that President Rajapakse, elected on a massive poll, has a massive mandate. 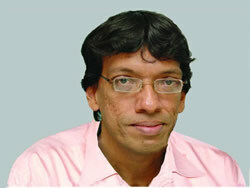 Jehan Perera - Executive Director, National Peace Council. One of the more entertaining aspects of an election in which one side wins decisively is the contortions its opponents go through to claim that that side has in fact lost. What one might term the Sarath Fonseka groupies, who split spectacularly when they realized that the spoils of defeat were limited, have united again to sing a song of dysfunction and despair. Thus Jehan Perera, described as an analyst, rather than the active supporter he actually was of General Fonseka, believes the government wants to use its majority to ‘remove the presidential term limits on Rajapakse’. Dr Saravanamuttu, whose faith in Ranil Wickremesinghe seemed to have redoubled after that worthy announced while he was Prime Minister that democracy was less important than economic development (and cited the bad old regimes in South Korea and Taiwan as evidence for this), claims that the President and his party ‘are positing that economic development should take overarching priority over a discussion about rights and governance’. Paikiasothy Saravanamuttu - Executive Director, Centre for Policy Alternatives. One of the saddest aspects of the determination of some journalists to denigrate Sri Lanka is the failure to distinguish between truth and falsehood. This has been sadly true of the ‘Sunday Leader’, though it should be noted that there are great differences between the various people who write for it. In some cases, there is no obvious reason for statements that are not true, except perhaps sheer carelessness, in a culture that is not concerned with truth provided some sort of specious political point is made. Thus, on the front page of the ‘Leader’ that appeared immediately after the General Election, a lady called Nirmala Kannangara wrote that the UPFA won 115 seats, the UNF 45 and the TNA 15 from the Northern and Eastern Provinces. The real figures were 117, 46 and 12 respectively. I must confess to feeling some relief on Wednesday morning. Perhaps as a result of living in Colombo, and imbibing its pernicious predilections, I had worried about the result of the Presidential election. True, rational thought suggested one need not feel anxious. This was reinforced even by the details of a poll, commissioned I was told by international interventionists, on behalf of General Fonseka. This claimed he would win by a tiny margin but acknowledged that he would lose almost all districts in the south of the country, save for Colombo and its ilk. Given the unrealistic margins it predicted in those areas one should have felt confident. But still, the manner in which the voters of this country have expressed themselves democratically (and also affirmed their determination that democracy should continue) is heartening, and a reason for pride. They have affirmed their faith in the future and in political principle. They have rejected ‘dysfunction and breakdown’, which dear old Dr Saravanamuttu declared had taken place in Sri Lanka even while everyone else acknowledged that the election was peaceful and orderly, and only a different result might have created chaos. Perhaps the saddest aspect of the campaign for General Fonseka was the complete absence of principle evinced by the vast majority of thinking persons who ended up supporting him. I was for instance astonished to find quondam intellectuals such as Dr Saravanamuttu and Jehan Perera pontificating in a manner that suggested they thought General Fonseka a potentially productive President. With regard to the former I was particularly disappointed because he had initially expressed some surprise at the idea of such a common candidate, and claimed that it was all Ranil Wickremesinghe’s fault for being so weak. Amongst the more astonishing features of the election was the association between the UNP and the JVP to promote the candidacy of General Fonseka. Or, rather, this was in itself not astonishing, for clearly both parties would have felt a need to clutch at any straw, even a blockbuster of the caliber of the General, to do better than they had done in other recent elections. This is understandable, given the need to become competitive, if they were to hold onto any substantial support for the future. But one would have thought there were some limits. Given that any political party claims to have a core of fundamental values that ensure the commitment of both party activists and thinking voters, it was strange that they could have thought the abandonment of all principle would have helped them for the future. With regard to the UNP performance over the election, there were two schools of thought that seem at first sight distinct. 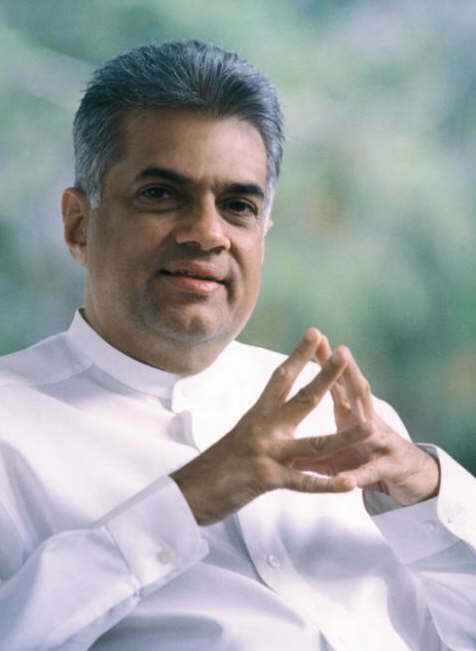 The first is that it shows the enduring genius of Ranil Wickremesinghe, who managed to turn what would have been certain defeat for himself into a campaign to confirm his control of his party. He was thus claimed to have got rid of his only serious rival in the party, S B Dissanayake, and also a potential articulate irritant in the form of Johnston Fernando. Now that the General did so much worse than he himself did in 2005, the argument is that the forces of civilization will once more rally to the once and future King. This perspective has been strengthened by photographs of him after the results were declared, in which he is grinning like a cat that has secured the cream for himself. Certainly his prompt endorsement of the election, and his distancing the UNP from the attempt to cry fraud, shows someone who is determined now to make a fresh start. Trying to understand the role of the West in the election is not easy, not least because the West too is not a monolith. I have no doubt that most thinking persons amongst Western diplomats, including the UN, had no illusions about General Fonseka, and would have been bemused had he been elected, even if he had refrained from carrying out the aggressive policy of revenge that constituted his principal election promises. But some of them, by seeming to bless the candidacy of a military man and dancing attendance at the union of unlikely partners, suggested that they thought this a wheeze that deserved encouragement. ‘Death of a Salesman’, perhaps the greatest of 20th century tragedies, is in fact the story of two people. The aptly named Willy Loman, the protagonist, is a modern tragic hero, but his even more aptly named son Biff also merits study. The play ends with Willy committing suicide so that Biff could have a wonderful future with the insurance money. Biff is not carried away by this gesture, and not only, one hopes, because it is highly unlikely that the insurance will pay up after such patent subterfuge. There are other parallels with the recent Presidential election. Willy’s act of great sacrifice occurs after father and son are at last reconciled, following high drama and denouncements. Willy finally declares, after years of having concealed it, even from himself, that Biff is full of spite. He claims that Biff destroyed his own life – and by extension Willy’s, given that Willy could claim he had lived for his eldest son – through bitterness.